Venue: UTS Short Courses Venue (Seminar room 4), Level 7, Building 10, 235 Jones Street, Ultimo, NSW. This venue is only for the event on 21-23 May 2019. 2019: 21-23 May; 20-22 August; 5-7 November. Our new skills-based training course, launched in 2017, has been developed to address these questions. It draws on the expertise of senior policy makers and researchers to help early career researchers build the skills required to initiate and sustain research partnerships with policy makers. Participant skills will be assessed before and after the course. This will assist us with evaluation and tailoring the course to participants. Early career researchers with significant research expertise, typically at post-doctorate level or with equivalent experience. Suited to applicants who are interested in influencing health or social policy by working in partnership with decision makers. This course is limited to 12 attendees. To discuss your eligibility, please contact Jillian Hutchinson via the details below. *Please note that not all presenters attend all sessions. 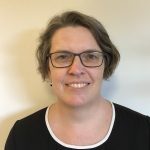 Associate Professor Thackway is Executive Director, Epidemiology and Evidence at NSW Health, and Conjoint Associate Professor, School of Public Health and Community Medicine at the University of NSW. She has more than 25 years’ experience in public health across the policy, front-line and research sectors. Associate Professor Thackway’s interests include cross-agency data linkage, systems development to measure the effective roll-out of interventions, improving data literacy, optimising the NSW investment in public health research, and supporting innovative ways to improve the use of research in the policy process. 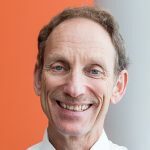 Adrian Bauman is the Sesquicentenary Professor of Public Health, theme leader for Physical Activity at the Charles Perkins Centre, Sydney University, and he co-directs the WHO Collaborating Centre on Physical Activity, Nutrition and Obesity. He works in chronic disease prevention and research translation. His prevention and health promotion research has been policy-informing; conducted and co-created in partnership with governments and NGOs in Australia and elsewhere. Professor Bauman is named on the 2015, 2016, 2017 and 2018 Thompson-Reuter (Clarivate) lists of the most cited 1% of researchers in any discipline. Professor Don Nutbeam is a Professor of Public Health at the University of Sydney, and Principal Senior Adviser at the Sax Institute. Professor Nutbeam’s distinguished career has spanned positions in universities, government, health services and an independent health research institute. 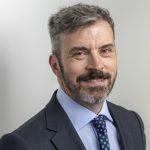 He was previously Vice-Chancellor of the University of Southampton, UK, Academic Provost at the University of Sydney and has also served as the Head of Public Health in the UK Department of Health. Professor Banks is a public health physician and epidemiologist with expertise in chronic disease, large scale cohort studies, Aboriginal Health and healthy ageing. She leads the Epidemiology for Policy and Practice Group at the ANU and is a Senior Adviser at the Sax Institute. 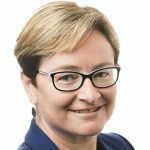 Professor Sally Green is Co-Director of Cochrane Australia and a Professorial Fellow and Graduate Research Co-ordinator in the School of Public Health and Preventive Medicine at Monash University. 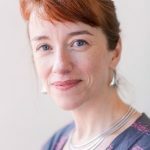 She has a PhD in Epidemiology and Preventive Medicine in addition to her clinical qualifications in Physiotherapy, is Chair of Cochrane’s Knowledge Translation Advisory Group and leads several competitively funded research projects investigating the best ways of informing health policy and practice decisions with knowledge from synthesised research. She is a member of NHMRC’s Synthesis and Translation of Research Evidence (STORE) advisory committee. Mr Cresswell is the Chief Communications Officer at the Sax Institute. 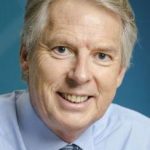 He has an extensive background as a health journalist and was Health Editor of The Australian newspaper for eight years, and before that deputy editor of the GP newspaper Australian Doctor. Since leaving journalism in 2012 he has run communications teams in a number of Australian Government health portfolio agencies, before joining the Institute in early 2018. 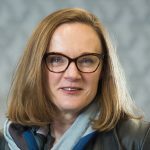 Beth Stickney has 30 years’ experience in population health research and evaluation and the translation of evidence into practice. Originally trained in nutrition, she has spent 10 years each at the Department of Public Health and Community Medicine, Westmead Hospital and University of Sydney; the South Eastern Sydney Health Promotion Service; and most recently at the Centre for Epidemiology and Evidence, NSW Ministry of Health. She is currently working at the Ministry with the team looking after the Premier’s Priority on Tackling Childhood Obesity. The course is facilitated by Ms Sian Rudge, Head of the Evidence for Action Division at the Sax Institute. This is a 3-day, face–to–face course. Participants will be provided with a handbook containing key readings and notes for each session. RSVP: Places for this course are limited to 12 attendees. Please register for this event by 5pm Friday, 10 May 2019 to secure your place.